RentSeeker.ca plans to launch RentSeeker.com in the U.S. in the fourth quarter of 2015. Property managers and landlords can market listings through video content, social media sharing, 3-D floor plans and listing syndication. Featured property managers are given top ranking for city-specific searches. Canadian-based RentSeeker relaunched its brand and website July 28 with the help of some of the industry’s leading experts to create an entirely new apartment listing search engine. The company was originally founded in 2009 as a Web-based marketing platform and search engine for apartments throughout the country. RentSeeker.ca reported a surge in interest from both renters and landlords, so the redesign and overhaul of the brand was a natural next step in making sure the site meets the needs of the local community. In addition to its active blog, RentSeeker has the mission “to assist both renters/tenants and landlords by providing a platform for them to utilize for not only finding an apartment but also as a resource for information,” said RentSeeker President and CEO Chaim Rivlin in an email statement. Over the last few years, RentSeeker.ca brought on industry experts to curate real estate analytics, research and focus groups. The outcome is a substantially built-out platform with resources for individuals on each side of the transaction. Landlords and property managers have access to RentSeeker’s digital marketing services, which includes 3-D floor plans, listings syndication, property videos and social media outreach. The company also offers custom-branded QR codes that property mangers can add to signage, which allows interested renters to immediately access listing information, floor plans, videos or directly contact an on-site agent. Agents and property managers can also utilize RentSeeker’s website development and design offerings. The company won the FRPO Website of the Year Award for one of its sites. The RentSeeker app is another piece to the puzzle. The no-frills listing application has none of the “bells and whistles” of the website, and was created solely for a simple search experience available for Android and iPhone users. RentSeeker has three packages: basic, premium and featured for a monthly charge of $49.95, $69.95 and $99.95, respectively. All three packages include live listings on the website in addition to the property’s Walk Score, property videos, real-time stats of property views, individual URLs for each property, ability to modify ads at any time, unlimited text description and photos, and property management contact information and website. 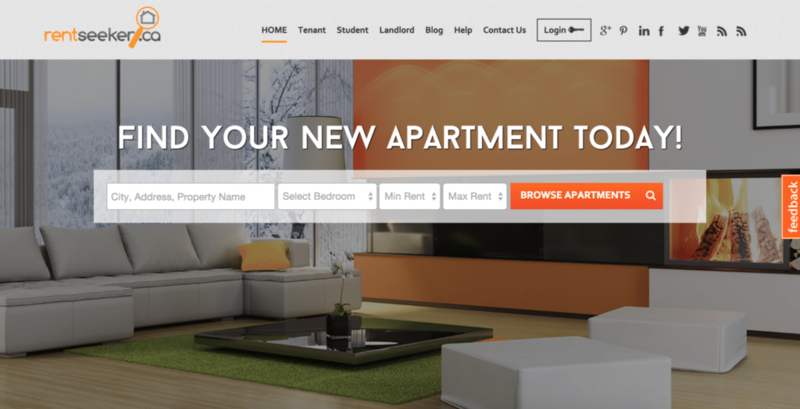 Now is the time to make its move to the American apartment rental market and RentSeeker plans to do so in 4Q. The premium and featured packages also include syndication to Pinterest, Twitter, Facebook and other social networks. The featured package will get listings bumped up to the top results for specific city searches and include the property management company’s logo in its “featured” section. Next step is for RentSeeker to come to the U.S. market. “There seems to be quite a bit of consolidation in this space going on currently,” Rivlin said. The company believes now is the time to make its move to the American apartment rental market and plans to do so in the fourth quarter of 2015.